The book club adjourns to a slightly noisy London pub to meet Keith Richardson and discuss all the wonders coming up from the Treasury of British Comics. 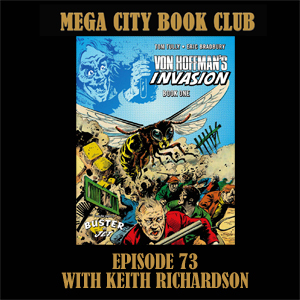 We focus on a gem of a story from the early 1970s, Tom Tully and Eric Bradbury's fantastic Von Hoffman's Invasion. 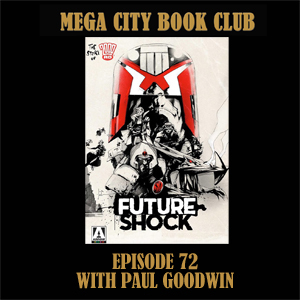 Paul Goodwin directed and edited the fabulous 2000AD documentary, Future Shock, and he joins me in the book club to discuss the behind the scenes process of making the film and all of the great extras on the Blu-ray.